1). Our back patio. 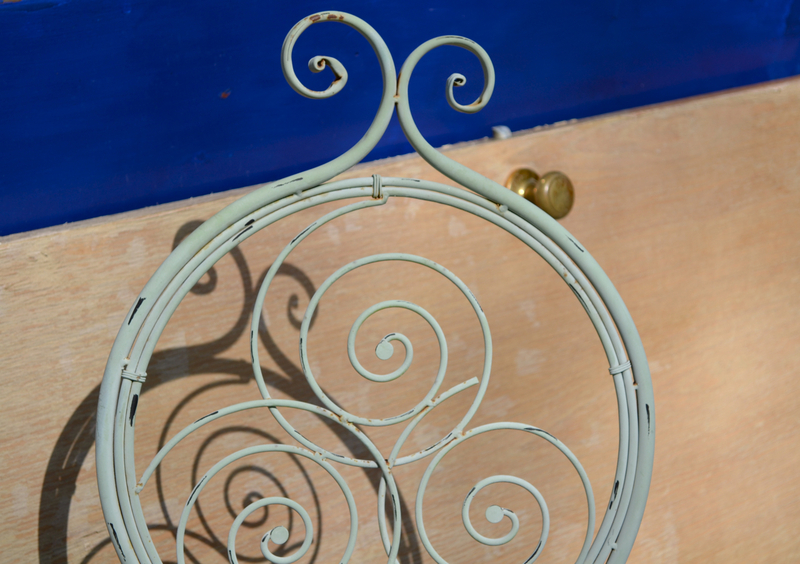 Not sure why there's a sideways door behind a garden chair, but hey! The colors sure are pretty. 2). 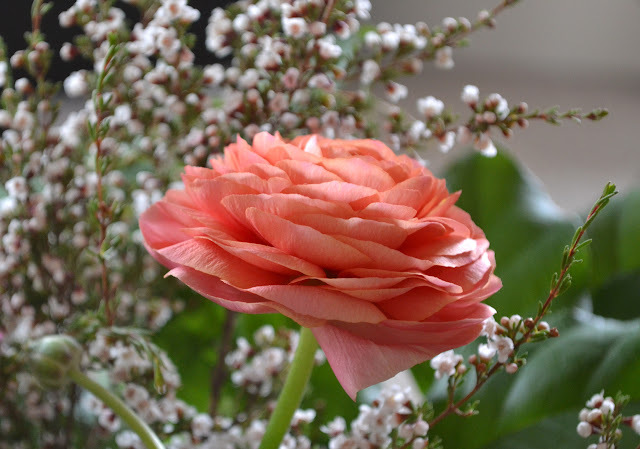 Peachy coral ranunculus. I think I'm now officially a crazy ranunculus lady. 4). 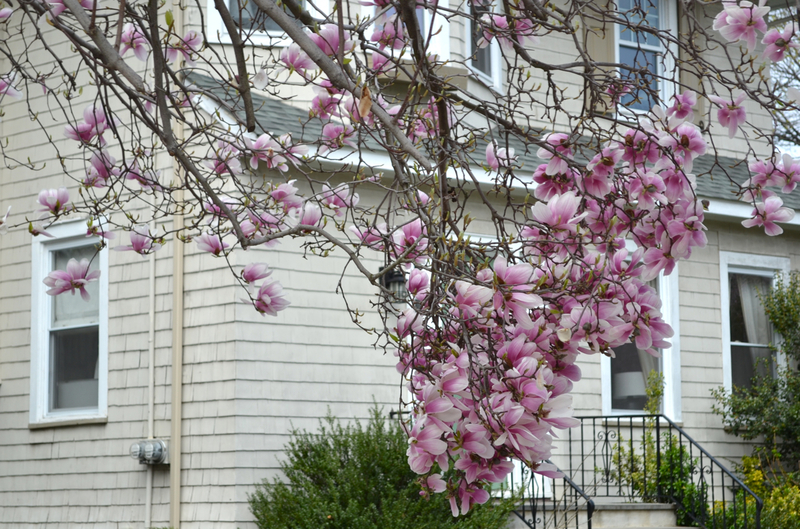 Magnolia petals. Can't believe they're almost gone already. 5). 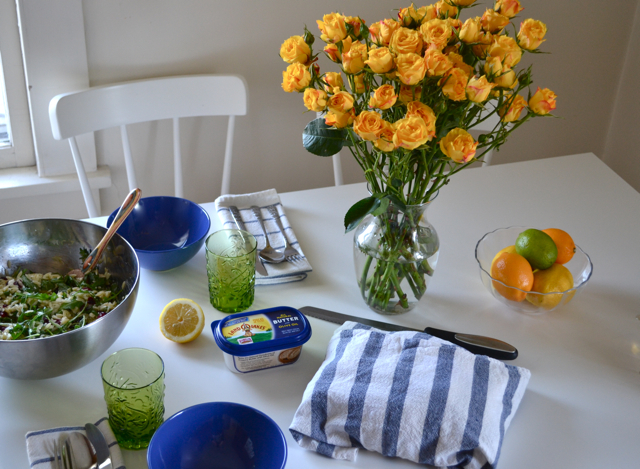 A simple dinner for two (fresh bread, orzo salad) and flowers that match the fruit bowl. High five to these five. And, happy weekend to you. happy weekend to you as well, my dear. There are far worse things to be than a crazy ranunculas lady! Love your five things. Hope you have the most marvellous weekend, my dear! Gloria, it's all about arm strength. I have none. And in order to roll the sock all the way down to create an even distribution of hair, you need arm strength, ha. Alas, it stays all day once I finally get it right! 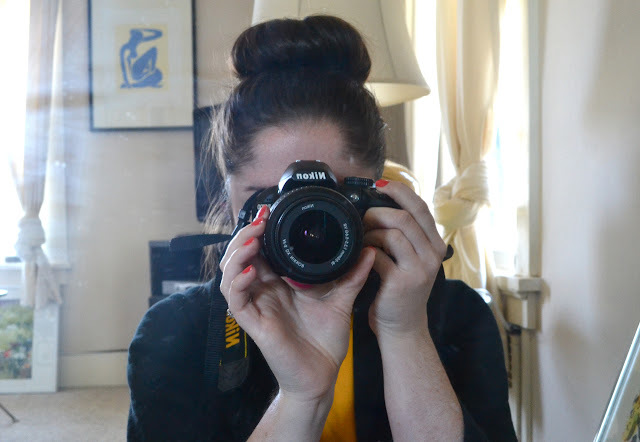 Embarrassing confession–my hair is so long (like sister wives, never left the homestead long) that someone asked me if I could show them how to do a sock bun. And then she insisted I was lying when I had to explain that I was just so lazy I hadn't cut my hair in 18 months. Your gorgeous flower photos help me from burning with shame. You are adorable in a bun!